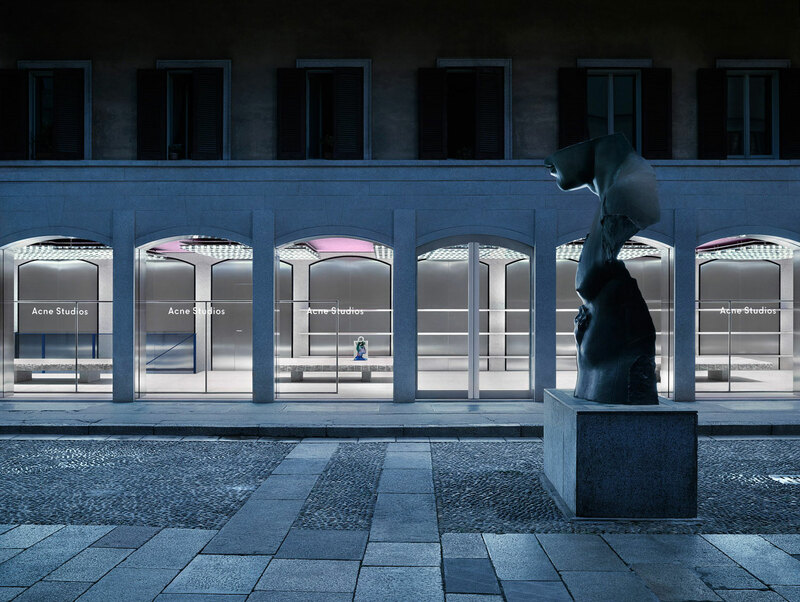 Milan Design Week 2018 Tips & Our Must-See Milan Itinerary. 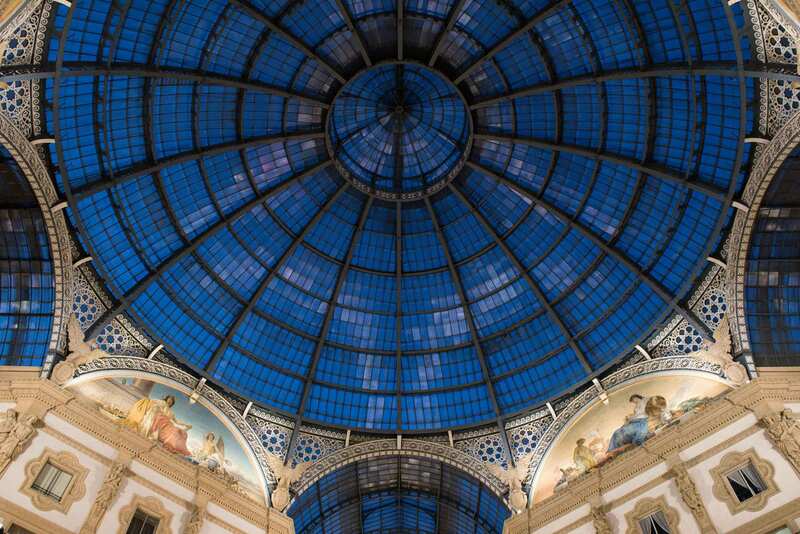 Milan’s spectacular Galleria Vittoria Emanuele II at night. Photography © Nick Hughes/ Yellowtrace. 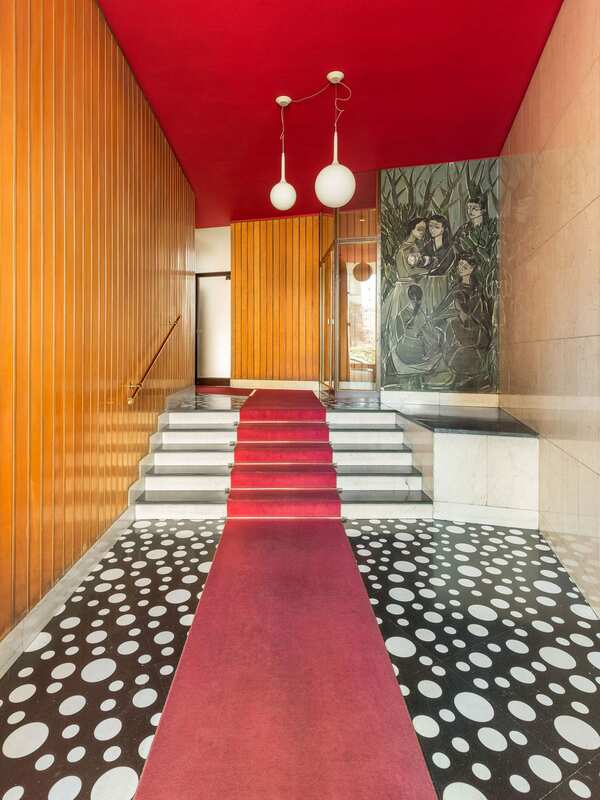 Entrance to Teatro Manzoni. Photography © Nick Hughes/ Yellowtrace. Naviglio Grande in Bloom. Photography © Nick Hughes/ Yellowtrace. 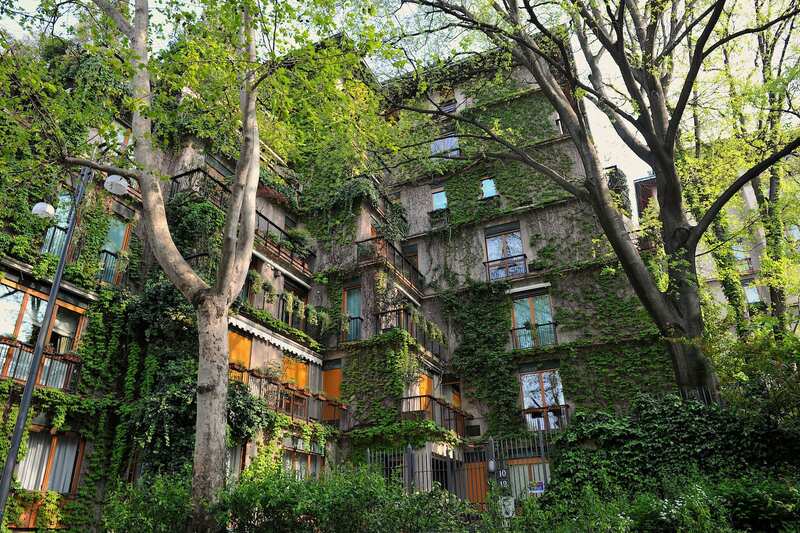 My favourite apartment building in Brera. So good! Photography © Nick Hughes/ Yellowtrace. 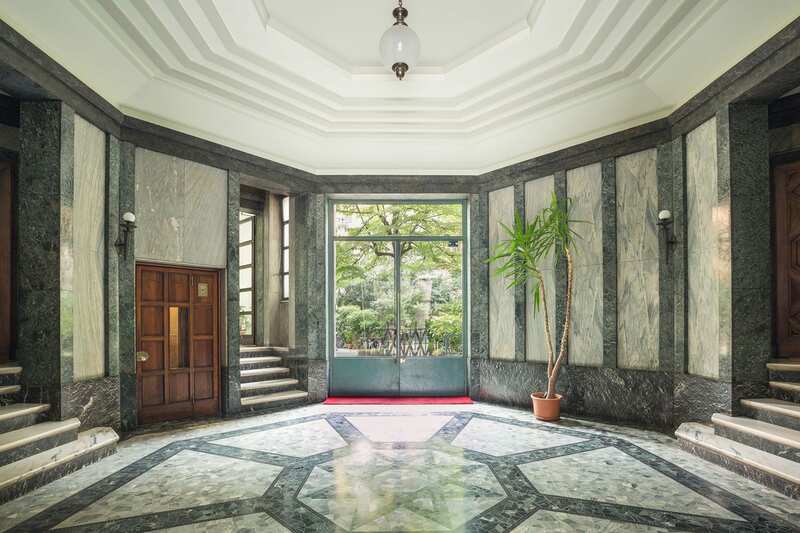 It’s that crazy time of year again when so many of us are fine-tuning our Milan itinerary in hope to make the most of our visit to Salone next week. Woohoo! Long-term readers will be well aware of my eternal love for Milan and everything this fabulous city has to offer. Today I feel extra excited to be teaming up with our pals at Cathay Pacific to bring you our updated Milan Design Week 2018 Survival Kit, Updated Milan Travel Tips & Our Must-See Itinerary. 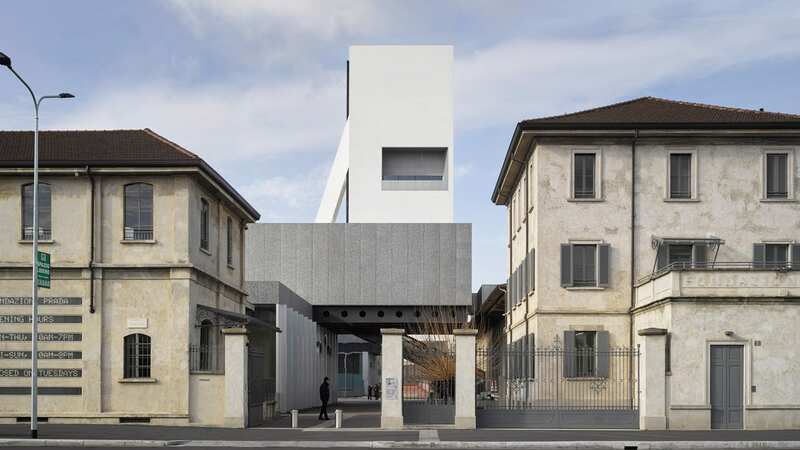 If you’re heading to Milan Design Week 2018 (or heading to Milan at any other time for that matter), this guide will offer tips on how to make the most of your week and must-see places to visit in between visiting the main events during Salone del Mobile. For those of you new to the site and to MILANTRACE, I suggest you re-visit 2017, 2016 and 2015 guides which will include many, many more of my favourites. Cathay Pacific Airways’ ethos and a belief that travelling well is an important part of living well, resonates deeply with Team Yellowtrace. Because when people travel well, the trip can become more memorable and rewarding. This philosophy has been at the heart of everything the airline has done for over 70 years, ensuring they continually strive to enhance the overall travel experience with exquisite food – in the air and on ground, with beautiful and welcoming lounges, offering passengers more choice and convenience, and taking them where they want to go, when they want. 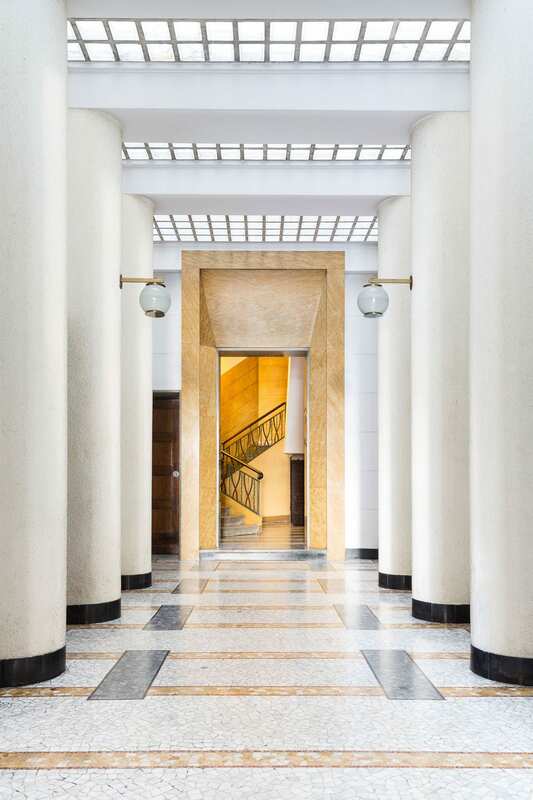 Scroll down further to see Cathay’s tips for travelling to Milan, and while you’re doing that – you can enjoy some of our own not-to-be-missed places and things to do dotted throughout this guide. 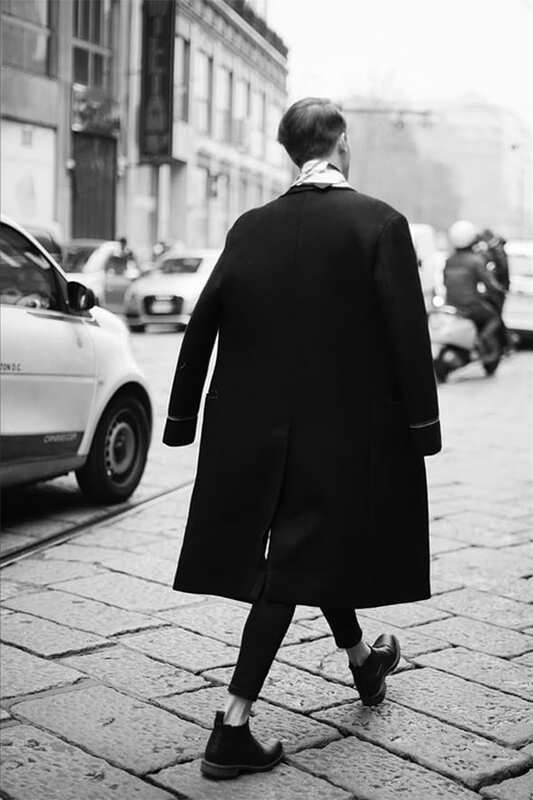 You can also check out my tips on how I organise my Milan agenda, what to wear, eat and bring each day on Elle Decor Italia, and also my Top 8 Milan tips below. Related: Must-See Milan Itinerary 2017. // Must-See Milan Itinerary 2016. // Must-See Milan Itinerary 2015. // Things to Do in Milan. Duomo di Milano. Photography © Nick Hughes/ Yellowtrace. 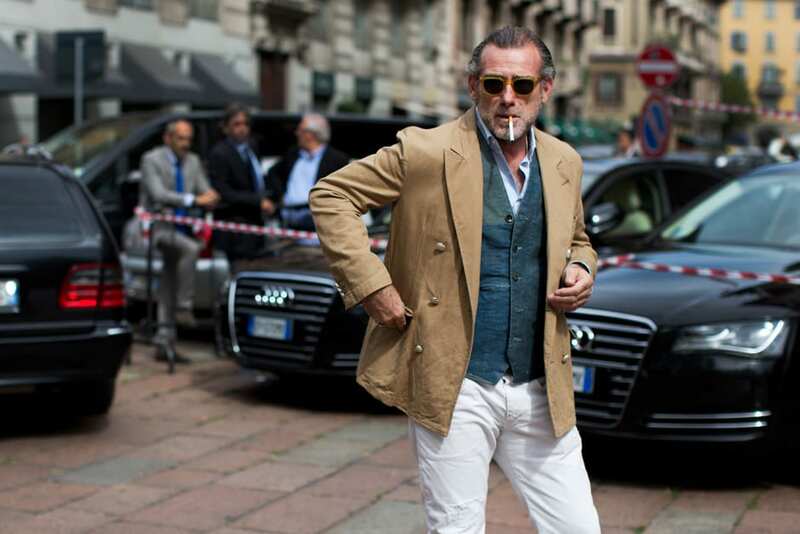 Behind the scenes on the streets of Brera during Milan Design Week with Team Yellowtrace. Photography © Nick Hughes/ Yellowtrace. 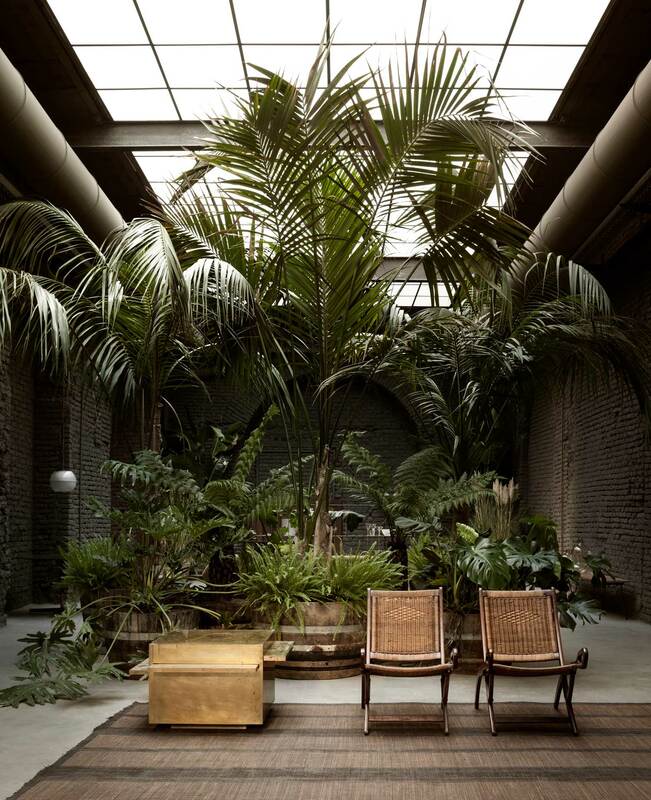 MILAN DESIGN WEEK SURVIVAL TIPS BY YELLOWTRACE. NO 1. The most important tip I can give you is to only ever wear comfortable shoes, and by this I mean sneakers. Trust me on this and please, don’t be a fool. NO 2. 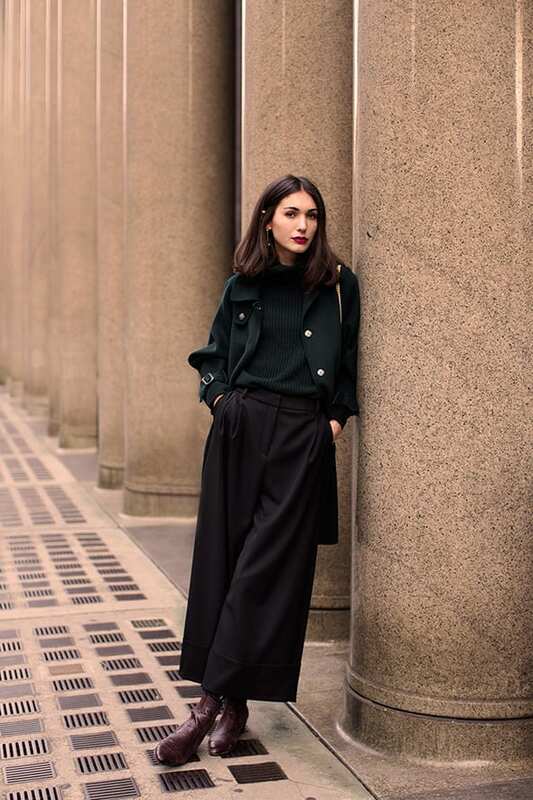 Clearly, your wardrobe planning will be a fairly important part of the week – how to be super comfortable while looking chic is a constant battle! For me, comfortable shoes like sneakers are a non-negotiable wardrobe item (yeah, no kidding), and I either wear tailored pants with a crisp cotton shirt or t-shirt and blazer, or flowy skirts and dresses with something warmer to throw on top for cooler evenings. The key is to be comfortable for the whole day, so plan your outfits accordingly. Also, since I almost never go back to our apartment to change before dinners and parties, I try to wear something that’s appropriate from day to night. Nothing a little bit of red lipstick can’t fix. 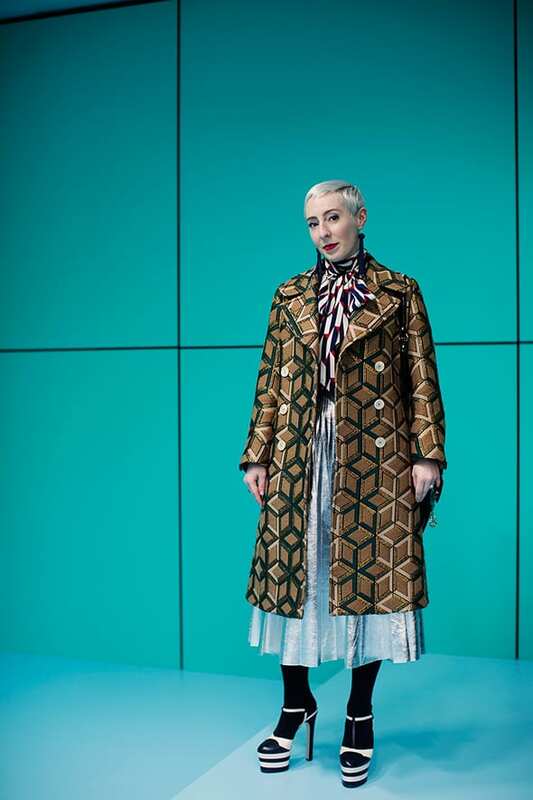 Unless I’m attending something fancy like the Salone gala dinner, in which case I make sure I dress properly the way a Milanese lady would – an evening dress, great shoes, good handbag and fantastic hair! NO 3. Make sure your handbag/ backpack/ fanny pack (I really just wanted to say ‘fanny’) is packed lightly and only take bare essentials like the business cards, phone, and high-speed charger – because running out of ‘juice’ during the day would be a disaster! Your bag can get pretty heavy during the day, especially if you start collecting too much information. Resist the temptation to pick up all the pretty printed collateral, and stick to digital files only. Your back and your suitcase on the way home will be much better off. NO 4. Establish and know your path of travel during the week and stick to your guns. Do not change plans because you followed some cute hashtag on Insta. You will lose too much time this way. If you want to take to the next level, plan your itinerary several days in advance with custom maps broken down into a daily schedule. This is what I do. Every. Single. Time. NO 5. 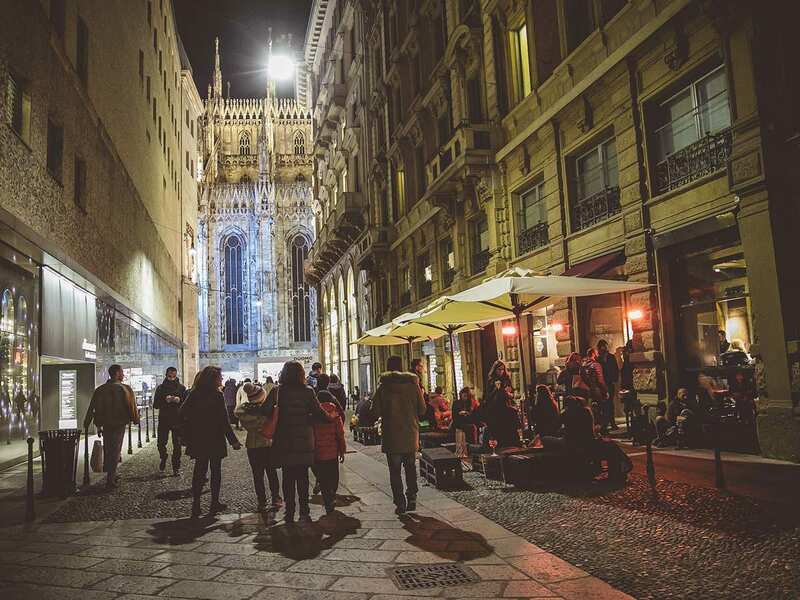 If this is your first time in Milan, just accept you will miss a lot of stuff – make peace with this and don’t suffer major FOMO. You will still see more great stuff than you ever bargained for. NO 6. 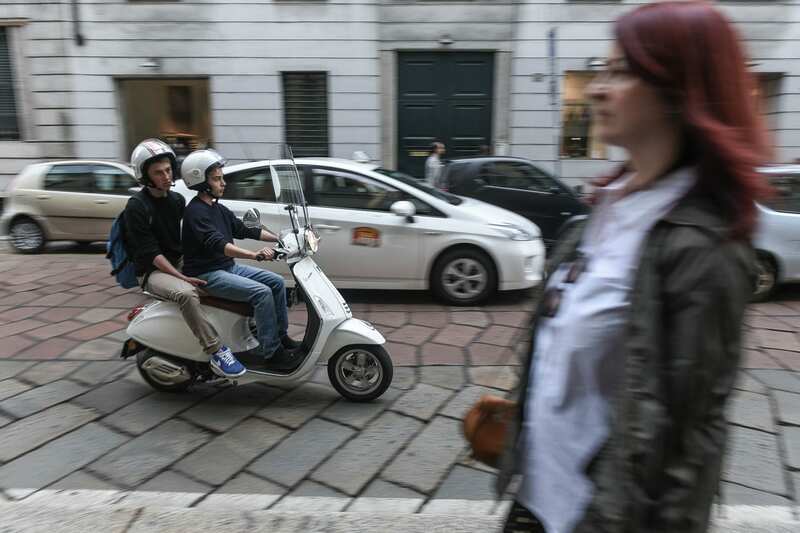 If this is your umpteenth time in Milan, you’re possibly not even reading these tips. But if you are, don’t be an annoying douche that says – “It’s just not as good as last year!” FFS, seriously, don’t ever say that $hit. Make sure you stay open to receiving moments of pure delight and sheer awe. These experiences don’t happen for those who feel “they’ve seen it all”. Just sayin’. Also, remember the enormous human effort that goes into dreaming up and producing each minute element of every single show. You may not personally like it, but don’t forget to show some respect. NO 7. Pace yourself and don’t go too hard too early in the week, although you probably will. The burnout is strong during Salone. Also, be highly selective and ruthless with your time. Period. NO 8. Always say yes to prosecco. Or a spritz. It doesn’t matter what time it is, because, during Salone, it’s spritz o’clock all the time. 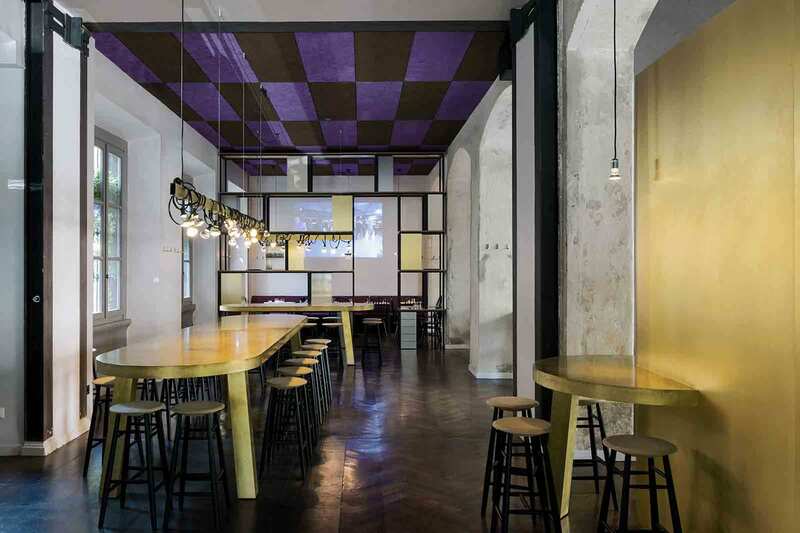 SIX Brings Together A Gallery, Bistro & Design Boutique in Milan. Located at Via Scaldasole, 7. 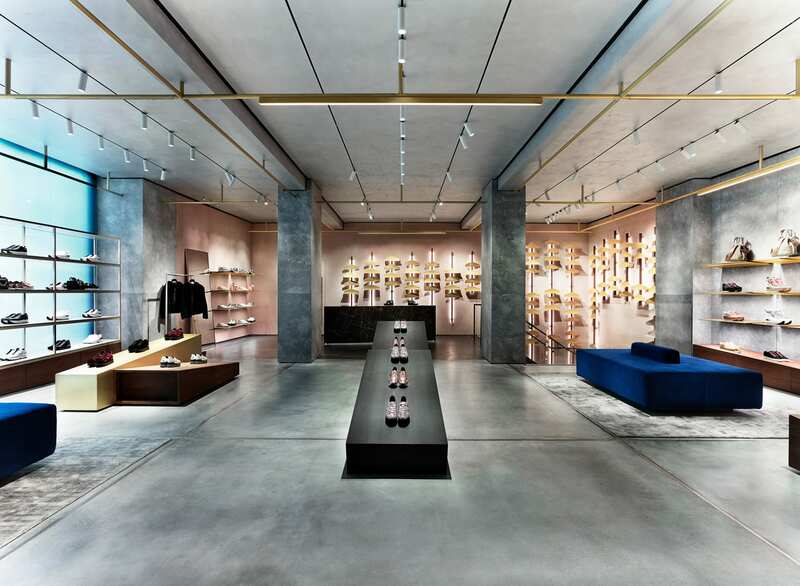 Acne Studios Milan Store in Brera. 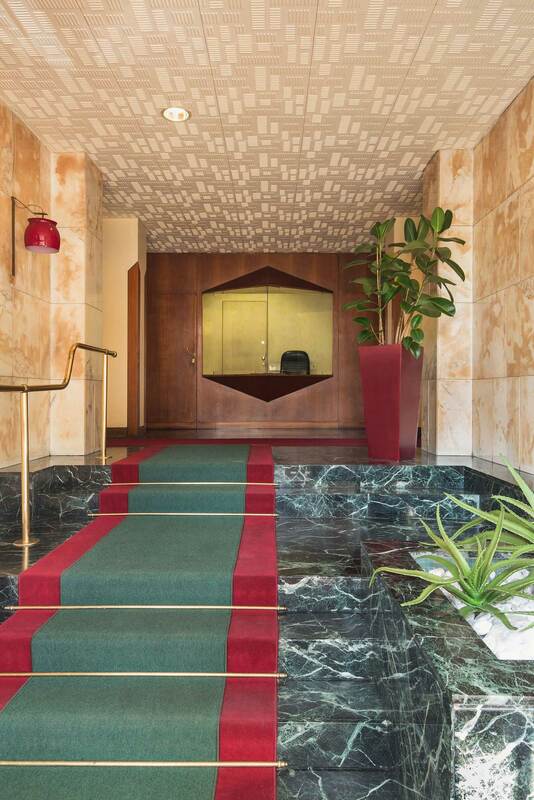 Located at Piazza del Carmine, 6. 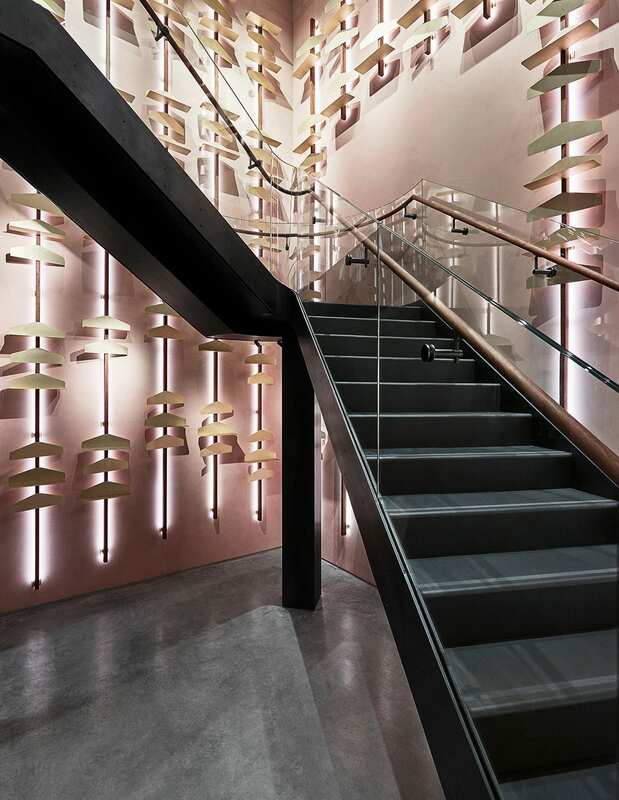 Hogan has a brand new store on Via Monte Napoleone, 5, designed by Checkland Kindleysides. 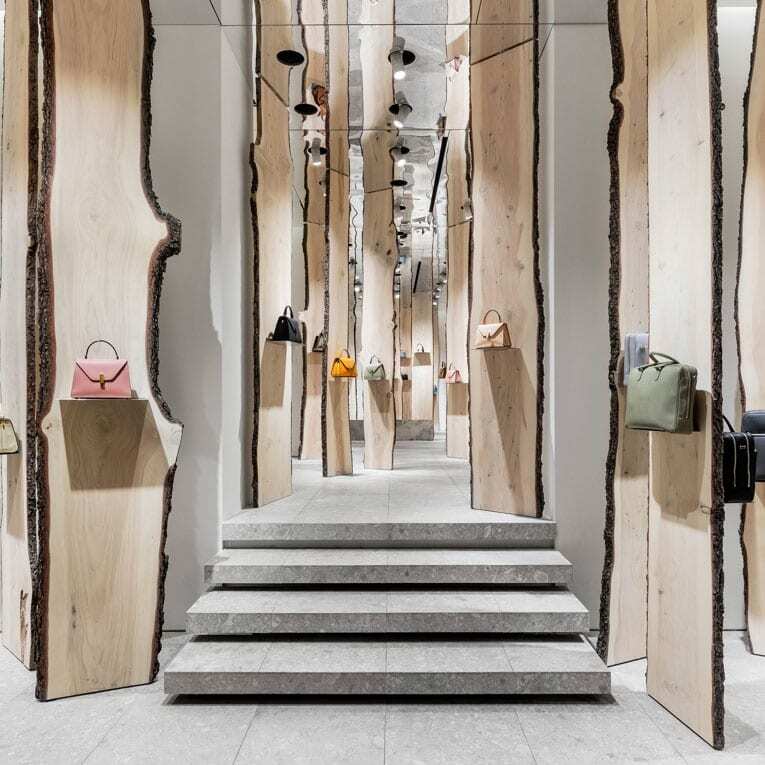 The Forest pop-up by Kengo Kuma at Valextra Store Milan, Via Alessandro Manzoni, 3. 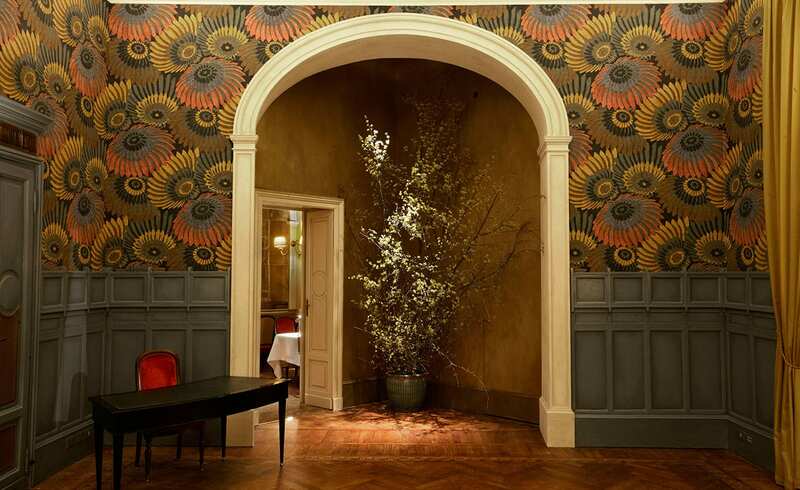 Celebrity chef Carlo Cracco’s Michelin star restaurnat Ristorante Cracco has moved to a new location inside the Gallerria Vittorio Emmanuele, with a fancy interior designed by Studio Peregalli. Dry Milano at Via Soferino 33 in Brera is prefect for a pizza or a cocktail. 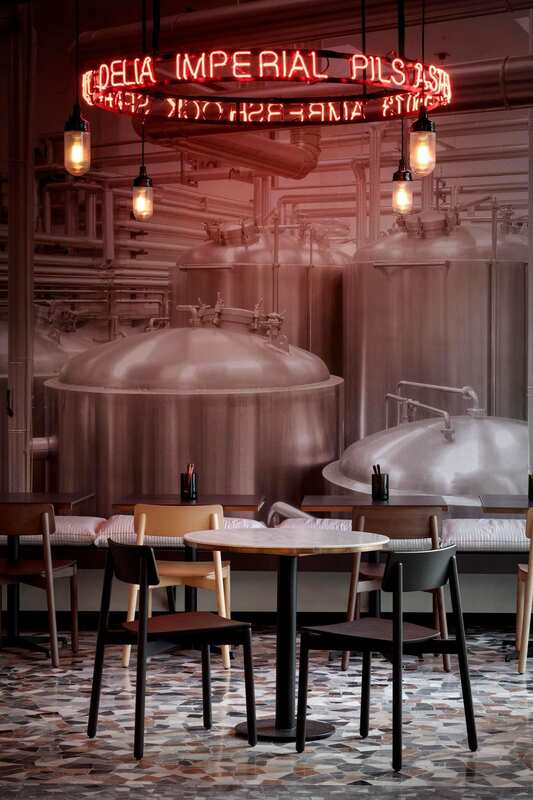 Located at Via Ferrante Aporti 12 (on the way to Linate Airport), Birrificio Italiano is the city’s latest brewery. You know, if prosecco isn’t your thing for some reason. I can’t believe that in all these years I never mentioned the good ol’ favourite Bar Straf. 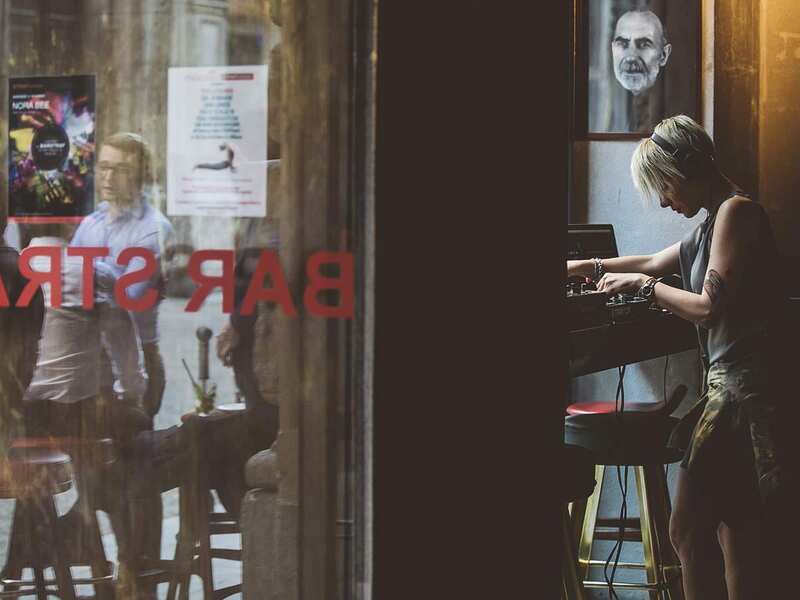 Located on the side street next to La Rinascente, opposite the Duomo, Straf is the perfect place for an aperitivo, or a late night drink. 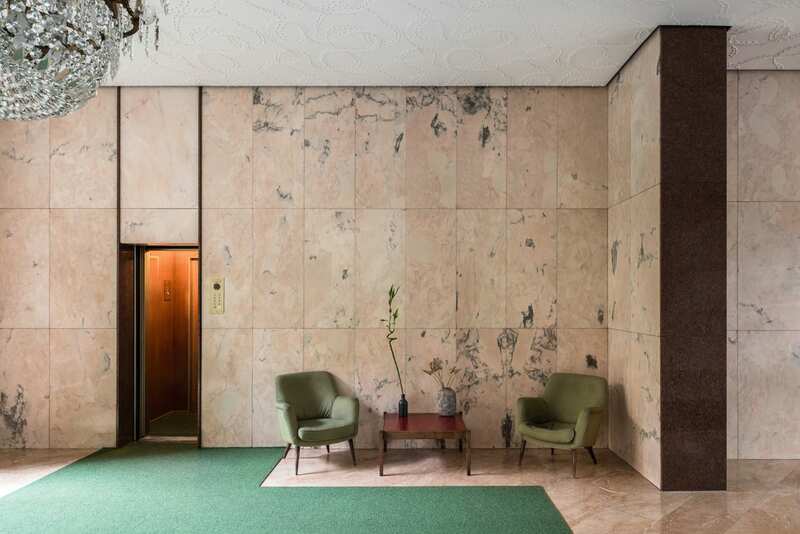 The interior was designed by Vincenzo de Cotiis in 2008 (I think) and it’s still going strong. CATHAY PACIFIC’S MILAN TRAVEL TIPS. TraMilano is a great and easy way to tour around the city. Operating since the 9th century, these iconic sunset-coloured trams come fitted with wooden benches, glass lampshades and folding doors. If you’re looking to hit the city’s famous landmarks, make sure you hop on the Number One line. And if you’re looking for something a little different and a bit fancy, you can Ride and dine on the ATMosfera restaurant tram. Operated by the ATM transport authority, this unique dining experience neatly combines the pleasures of taste and travel. Bookings available for groups of two or four only. Landing early in Milan with Cathay Pacific means you can arrive fresh and ready to dig straight into some hearty Italian brekky and kick-start your day of exploration. 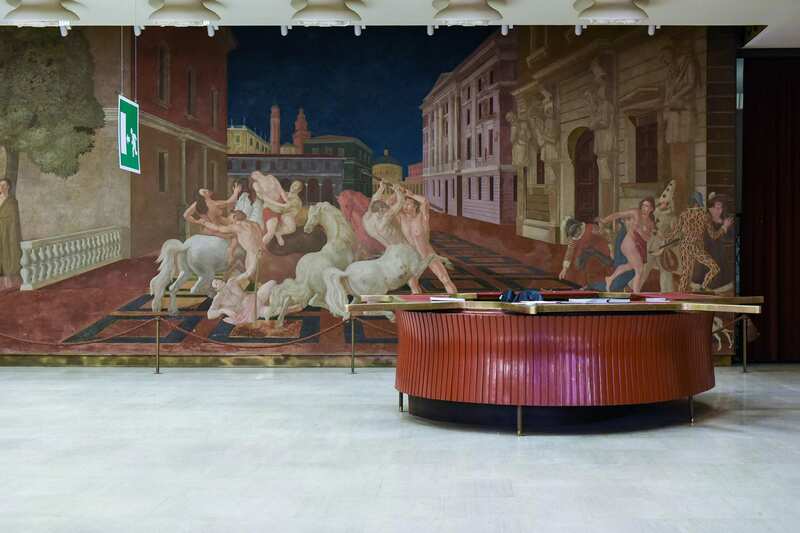 The city’s main railway station, Milano Centrale, is a 1930s architectural and foodie wonderland. 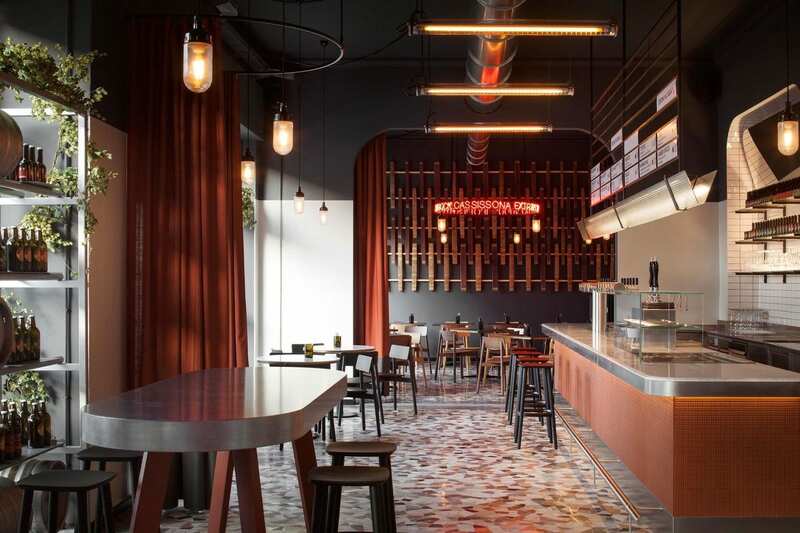 Think exquisite glass and metal arches that form a canopy over the 24 tracks and an array of shops and restaurants serving sandwiches, fresh bread, pastries and the beloved strong Italian coffee. 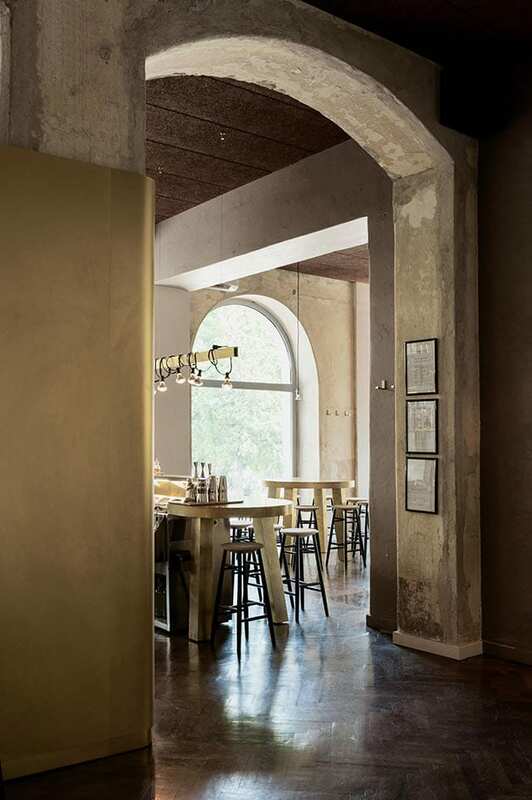 If award-winning chef Massimo Bottura claims this is the place to go for breakfast, then we’re sure it’ll be worth your while. 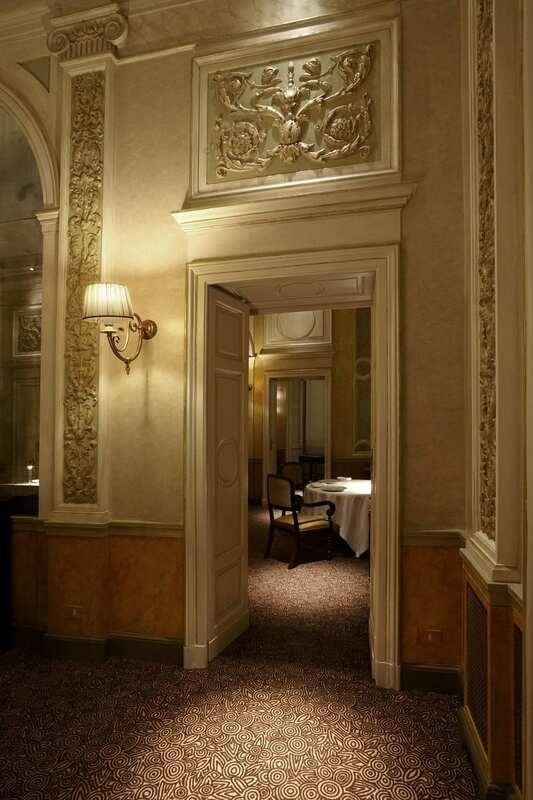 Eating in Milan is an adventure in itself. The variety of local signature dishes is vast and delicious, with the likes of ossobuco and risotto alla Milanese to name a few. But if you’re looking for something more humble but equally tasty, the local favourite panzerotti is just for you. It’s a deep-fried donut-calzone hybrid delight – layers of mozzarella and tomato tucked in a slightly sweet and spongy flatbread. A small pinch to the wallet (about €3 apiece) and the perfect treat for when you’re on the go. Cool off and surrender yourself to Milan’s best gelato. Try La Bottega del Gelato, a popular spot that has been serving 50 flavours of hand-made ice-cream since 1964. Or Il Massimo del Gelato, a more traditional parlour offering refined classics, including 10 choices of chocolate. 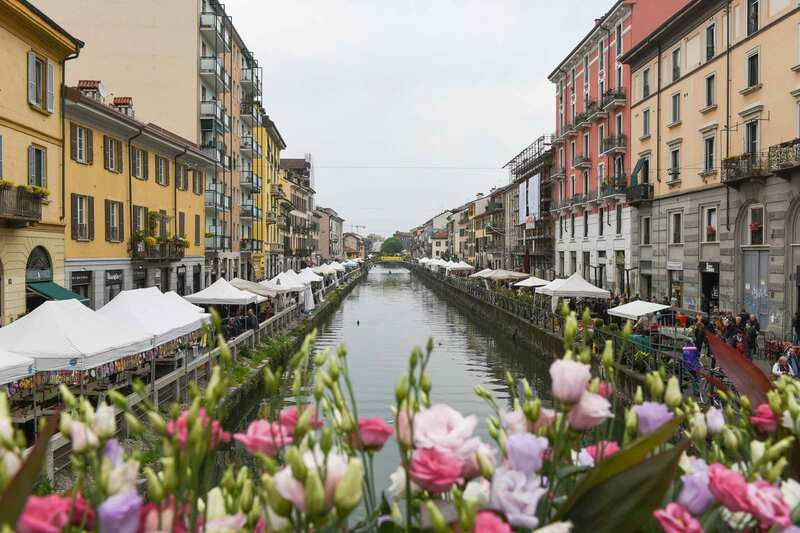 Finish off the day with a stroll and dinner by Milan’s oldest canal, the Naviglio Grande. The area is bustling with restaurants and shops, so you can bet you’ll get your lobster pasta and a cocktail (or two). A holiday in Milan is not complete without a visit to Duomo di Milano, Milan’s Cathedral. The Duomo stands majestically on the Piazza del Duomo, one of the largest churches in Christendom. With approximately 600 years in the making, this gothic architecture is a testament to impressive craftsmanship. 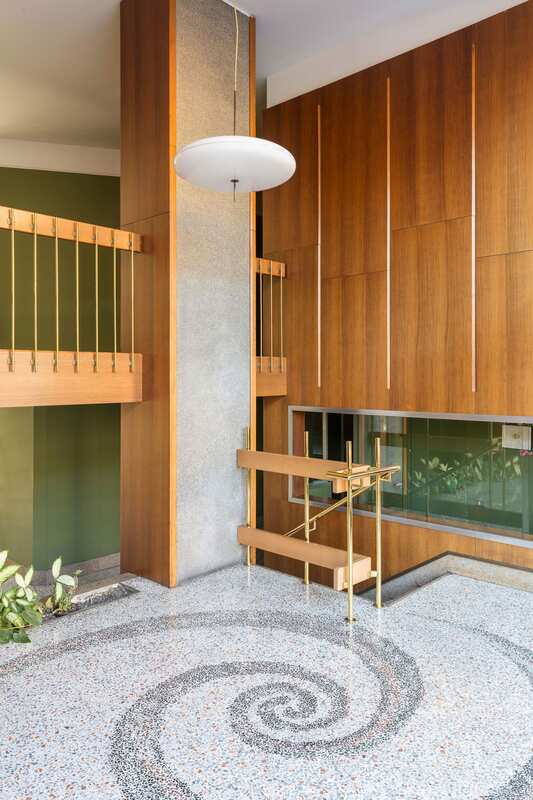 Take a tour around the interior before climbing the steps (or taking the lift) up to the roof. You’ll see the statues and spires carved from pink Candoglia marble, as well as the famous gilded copper statue of ‘Madonnina’, recognised as the city’s traditional protector, perched on the tallest spike. If the weather’s being kind, you might just be able to catch a glimpse of the snowy Alps. 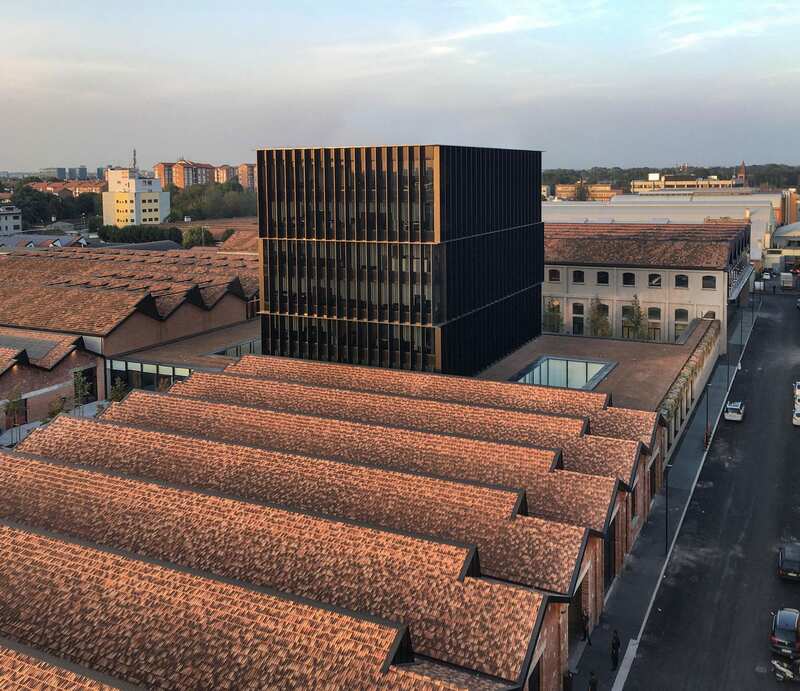 Leonardo da Vinci’s The Last Supper – arguably Milan’s most popular attraction – is a truly surreal art experience tucked away on the wall of one of Basilica di Santa Maria delle Grazie’s refectories. With its last restoration completed in 1999, the mural depicts Jesus’ revelation of his foreseen betrayal to his disciple. Bookings to see the artwork must be made in advance. English-guided city tours are available Tuesday – Sundays. 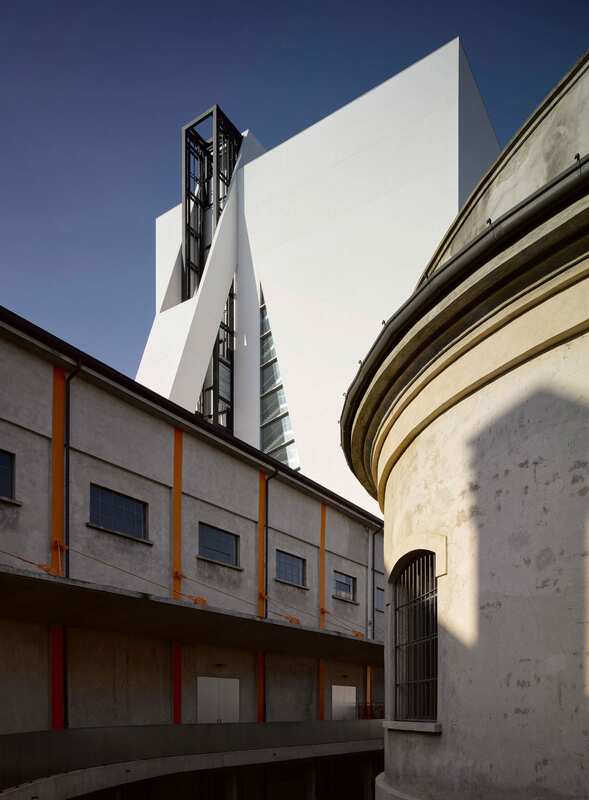 Everyone’s favourite Fondazione Prada has a brand new tower designed by OMA, which recently opened inside the amazing Arts prescient. Perfectly timed for Milan Design Week 2018. As if you needed another excuse to go here. Puh-lease! 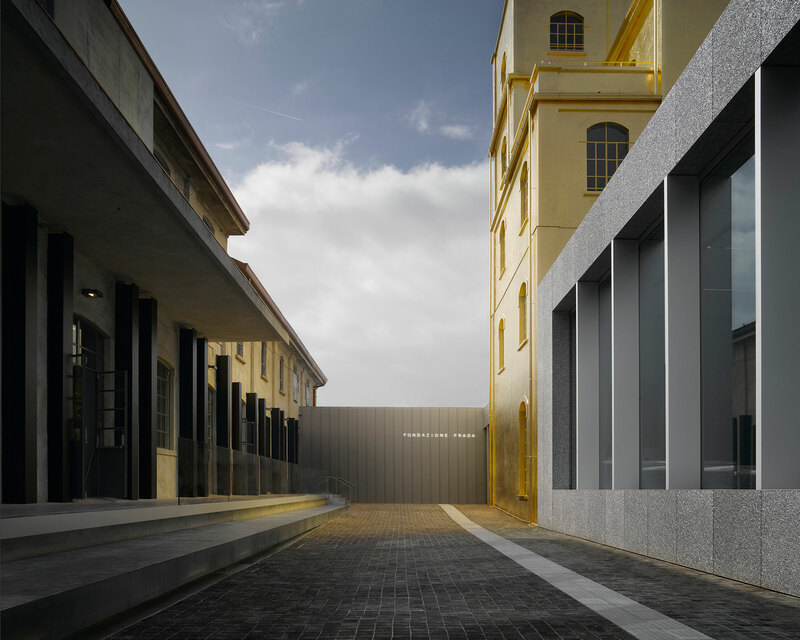 Gucci’s new headquarters in Milan are located in an abandoned aircraft factory close to the city’s Linate airport, designed by Piuarch. 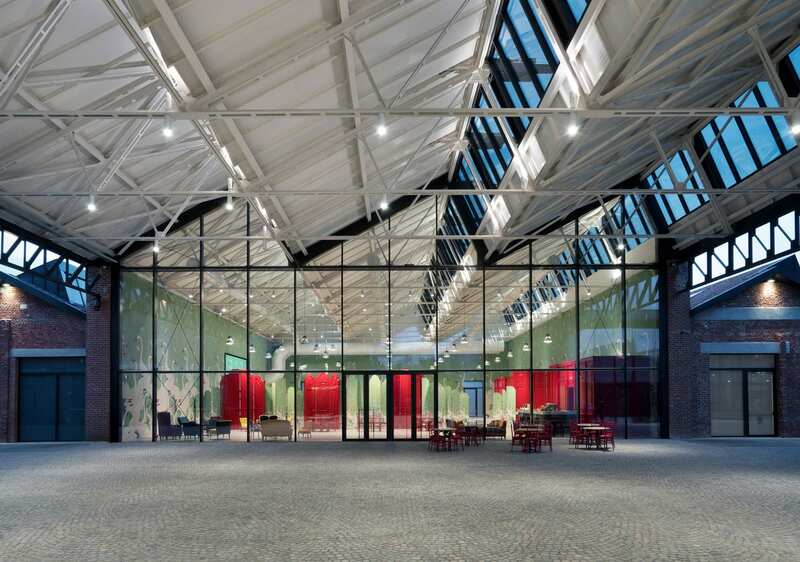 The 30,000 square-meter complex comprises of offices, showrooms, a runway, and a restaurant. 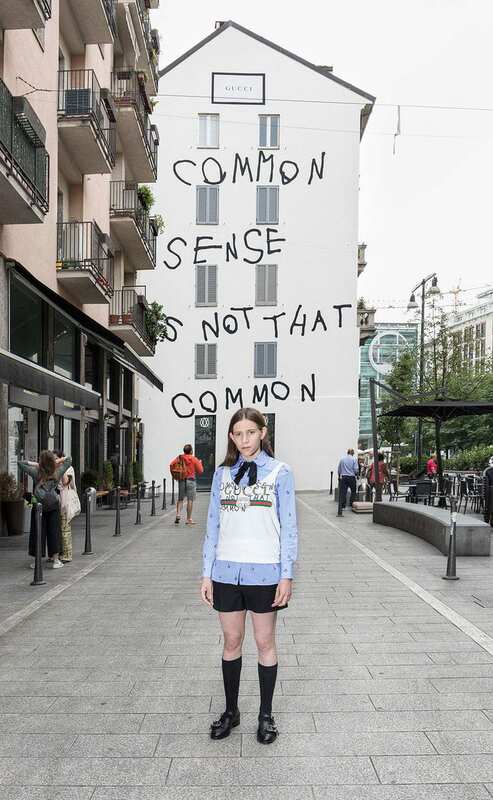 Last year Gucci unveiled their Art Wall project in New York, and Milan (of course). 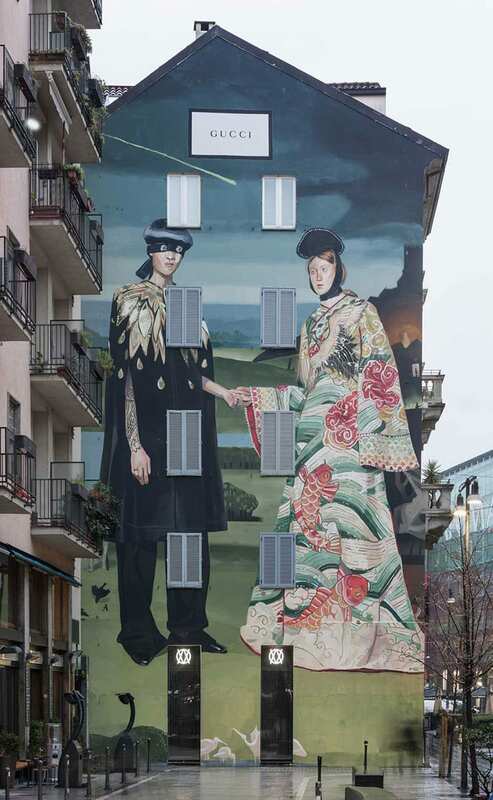 Located in Largo La Foppa (between Garibaldi and Moscova), the 176 square-metre urban canvas changes its appearance regularly. Perfect Milan selfie op, no? 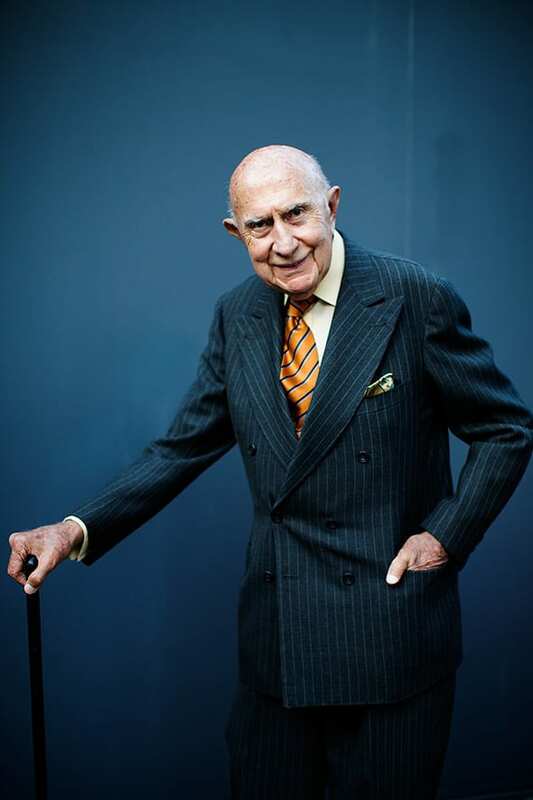 Speaking of fashion in Milan… I mean – get out, right? I know! Anyway, above images were all borrowed with thanks from the Sartorialist. CATHAY PACIFIC’S MILAN TRAVEL TIPS (CONTINUED). FOOD + ART COMBINED = WINNER! 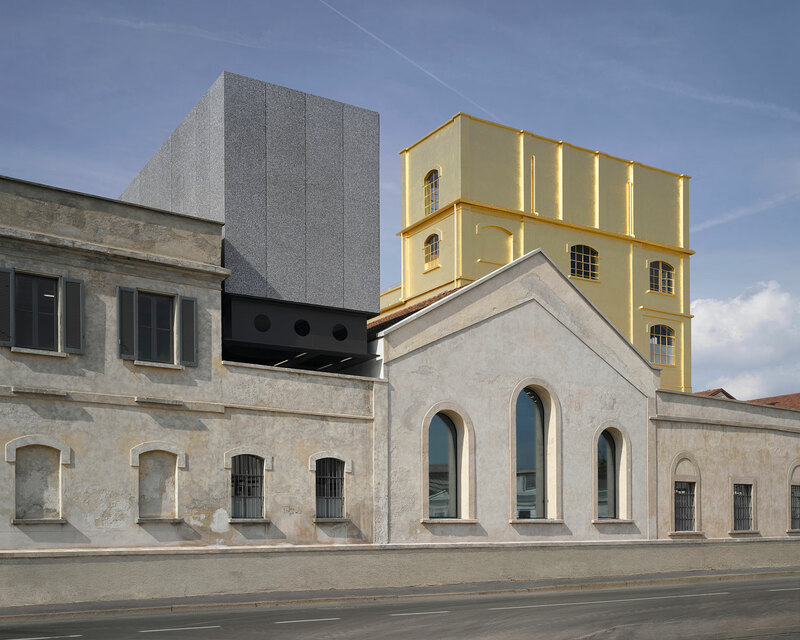 Located south of the city centre in Largo Isarco lies Fondazione Prada, an exhibition space dedicated to contemporary spatial art, design and culture. 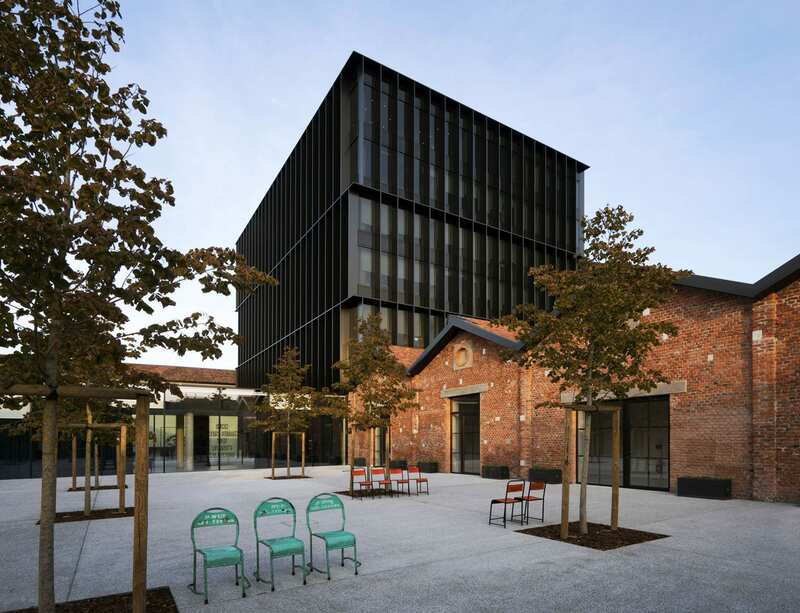 A once gin distillery from the 1910s, this new permanent facility designed by OMA is home to regenerated warehouses, laboratories and more. 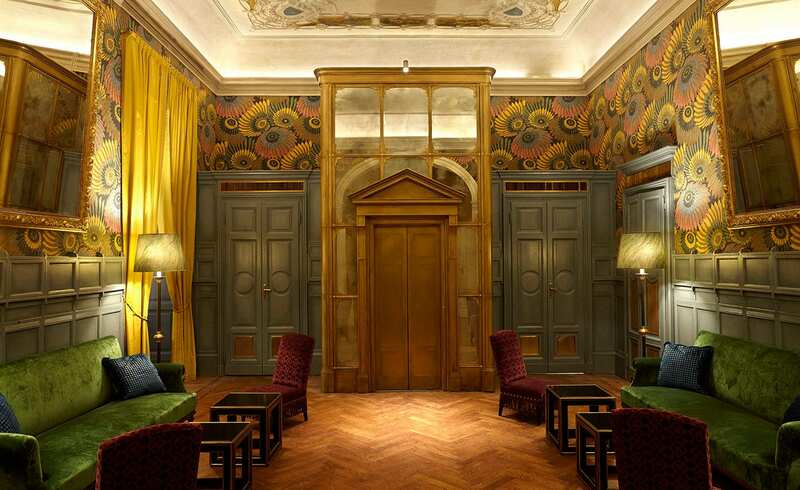 For all Wes Anderson fans, be sure to visit Bar Luce near the entrance building. 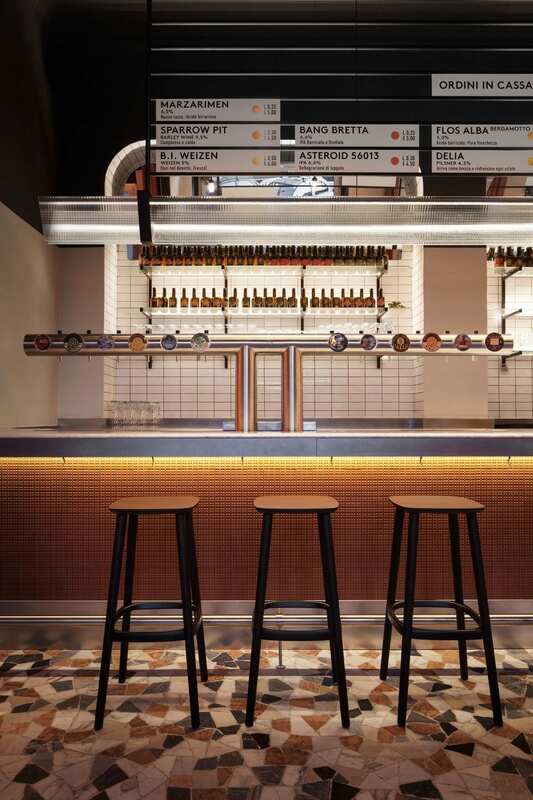 Designed by the director himself, the bar mimics the mood and aesthetics of old Milan cafes, so you can enjoy your cup of coffee and a sweet treat with a sprinkle of Hollywood. End your day with a feast for the eyes and the belly. 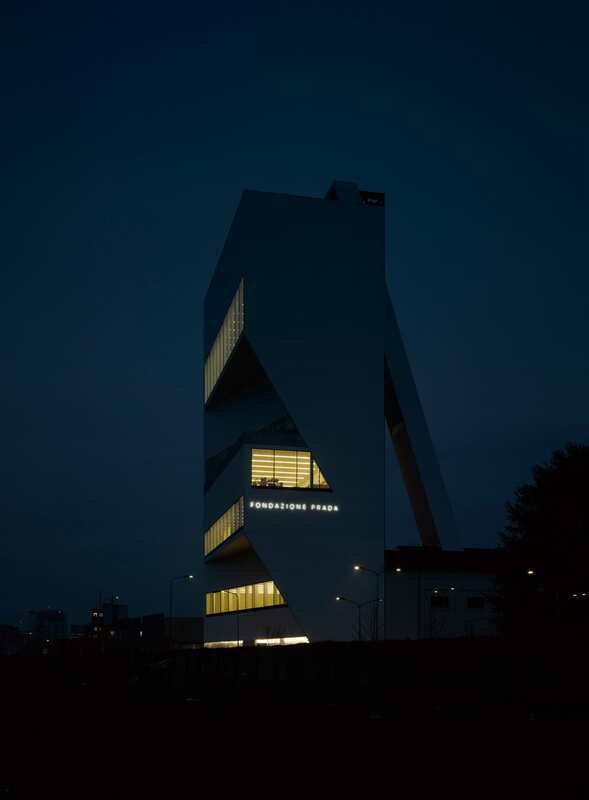 Perched on the rooftop of La Triennale di Milano design museum is Terrazza Triennale. 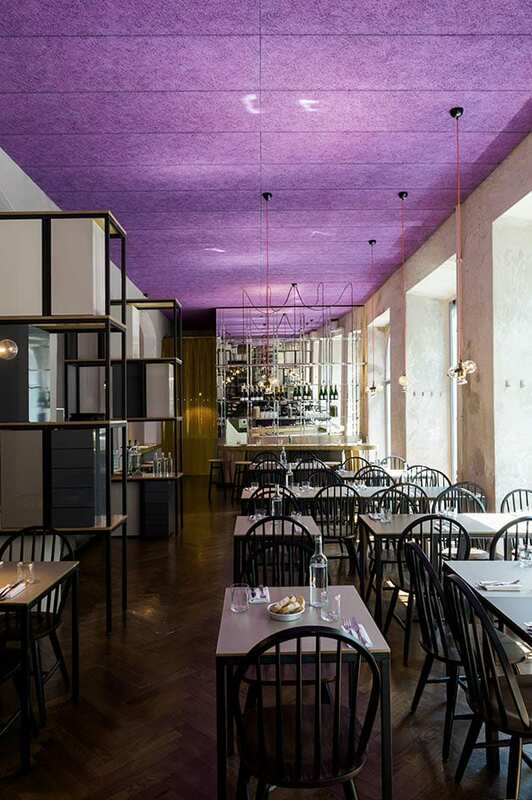 Designed and created by Milanese architectural firm OBR and headed by Michelin-starred chef Stefano Cerveni, this panoramic restaurant is set in a splendid greenhouse-like area and offers traditional Italian cuisine with a contemporary twist. The complete glass structure of the restaurant not only treats you to the best views, but it also makes for the perfect dinner under the stars. Get your walking shoes on and hit the shops for some retail therapy. 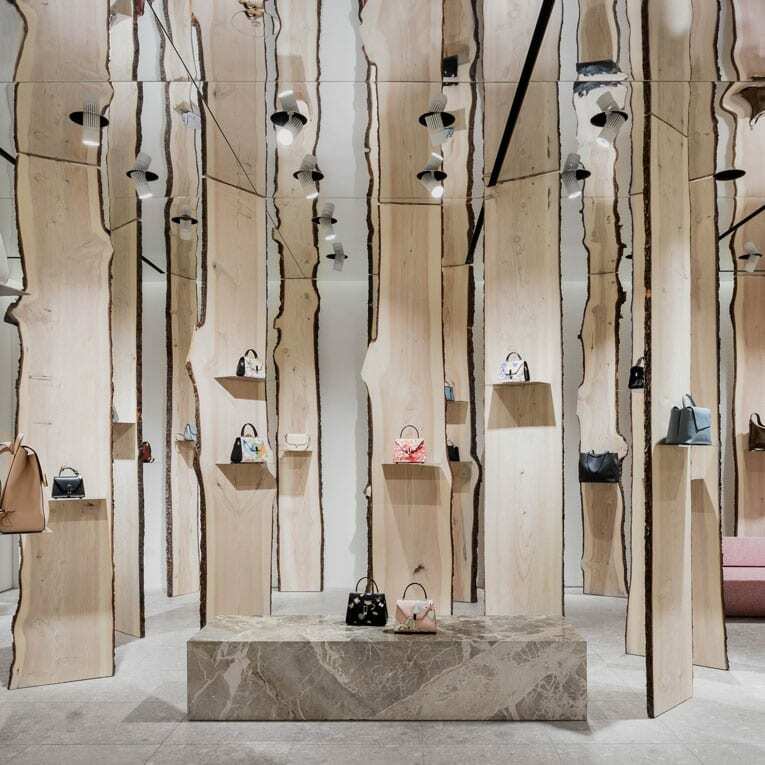 From boutique stores to big brands, there’s more than a touch of Vogue peppered across the streets of Milan. 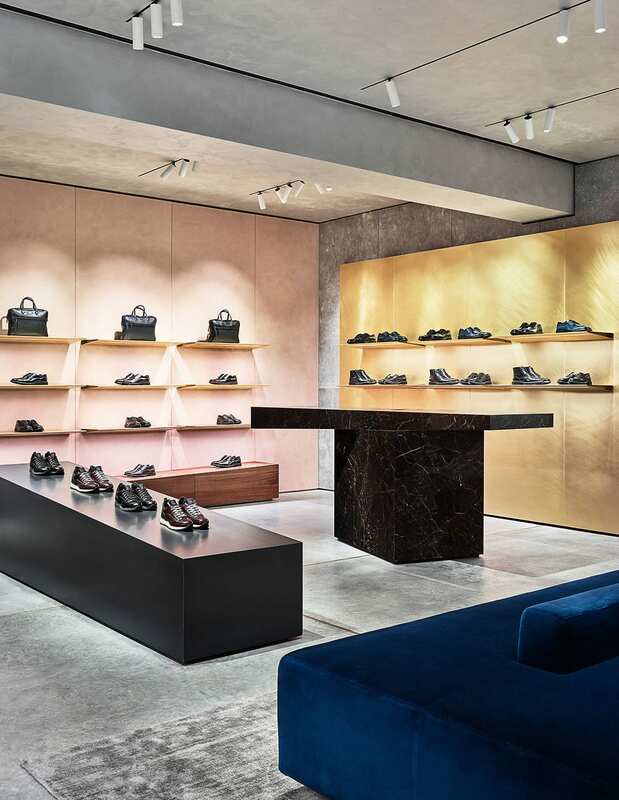 Made up of four streets of pure sparkle, the Quadrilatero d’Oro, otherwise known as the ‘rectangle of gold’, is where you can find the big brands and the latest ready-to-wear trends and designer clothing. For the bargain hunters, head out to the outlet stores. 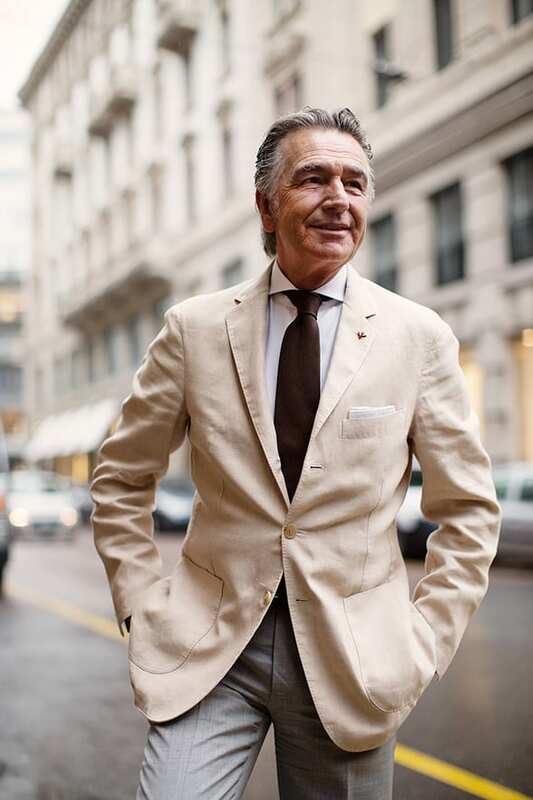 There’s some around the Corso Vittorio Emanuele II or try II Salvagente, Milan’s longest and most recognised established outlets for men, woman, and children’s fashion. 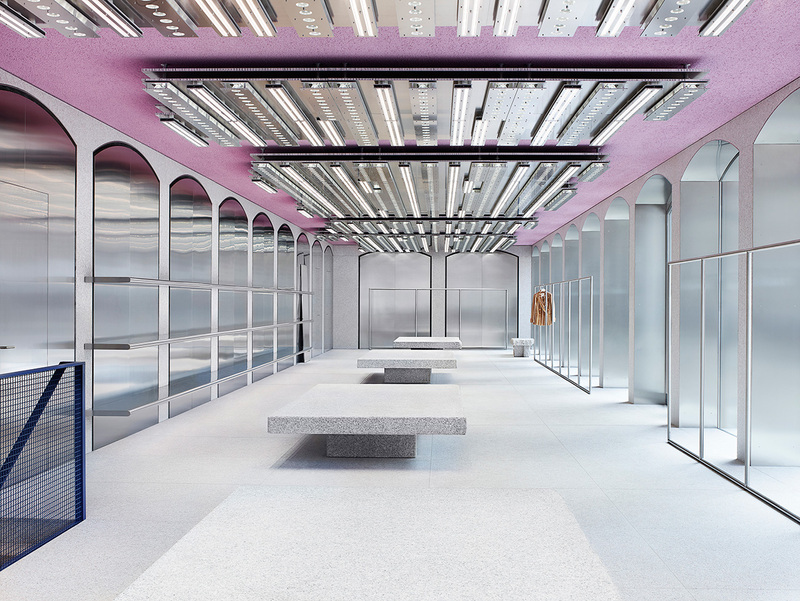 For big discounts on women’s only brands like Prada, YSL, try Basement. With a heavy population of the stylish and creative comes an ample supply of second-hand goodies and artisan pieces. East Market in Lambrate is all things fun and creative. 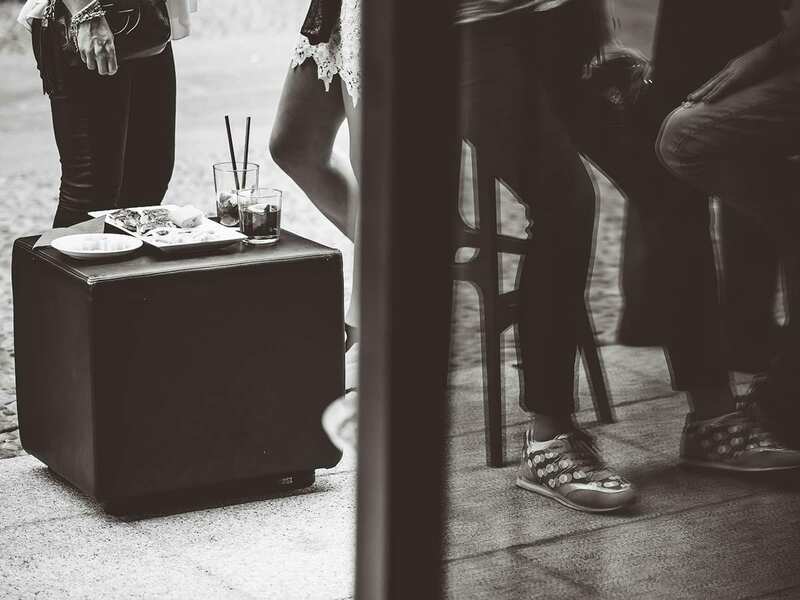 Besides looking cool and selling all sorts of gems – from vintage designer to casual-wear clothing, antiques, jewellery, artisan pieces and more – it also has a great selection of food trucks, bars and live music. There’s no set dates or hours, so best way is to check their social channels. 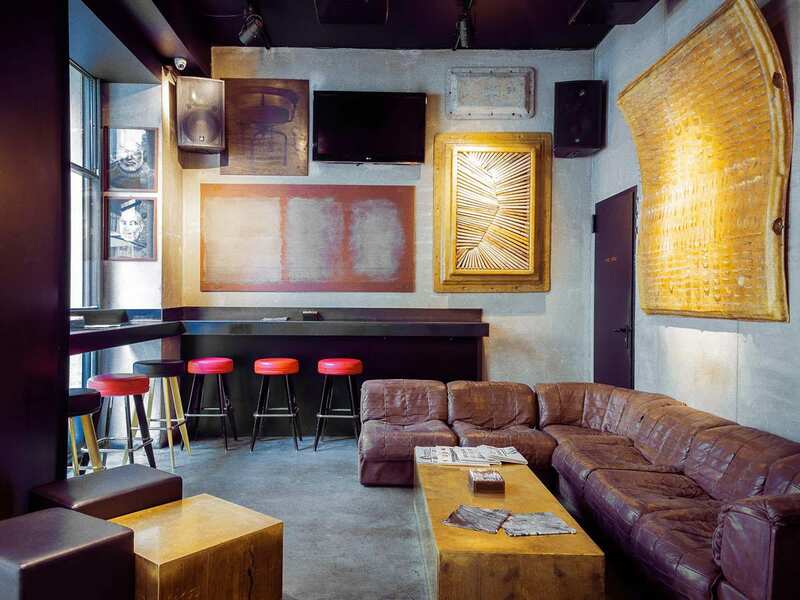 If you’re a design nerd, then staying at a design hotel is probably a high priority. 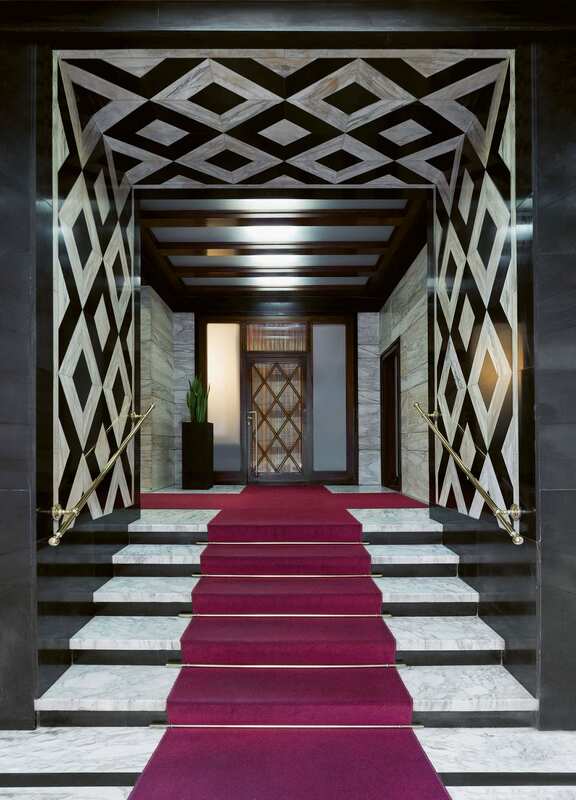 The classic Mandarin Oriental or Four Seasons will do the job, but if you’re looking for something a little different, Armani Hotel Milano, located in Quadrilatero d’Oro, is a good option. The 5-star hotel pairs minimalism with the signature Armani style décor, and is home to the incredibly chic Bamboo Bar, recognised as one of Europe’s best bar. 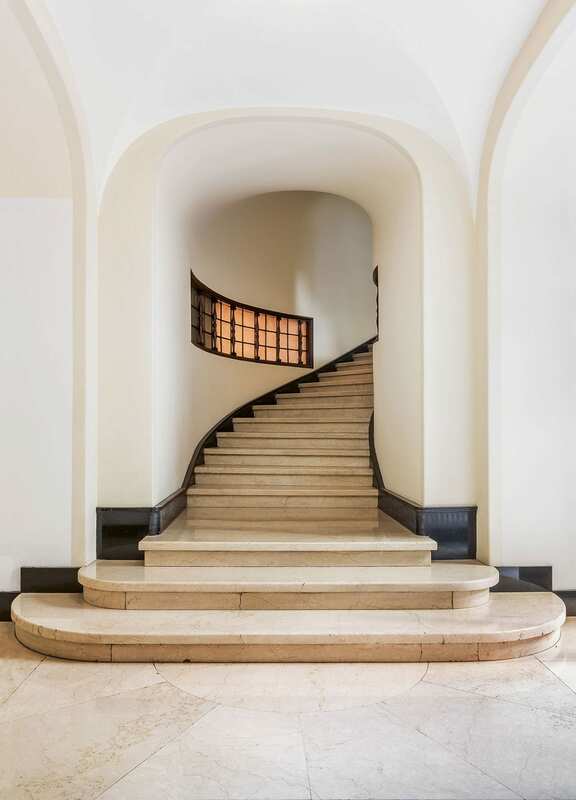 Or, what about Palazzo Segreti? 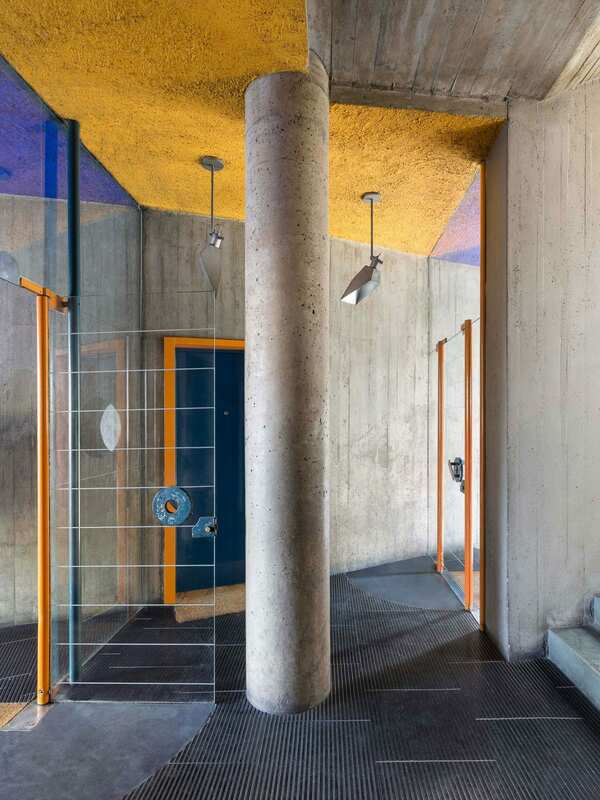 This historic hotel harmonises industrial elegance with pockets of bold colour. These hotels are available as part of Cathay Pacific flights & hotel packages. 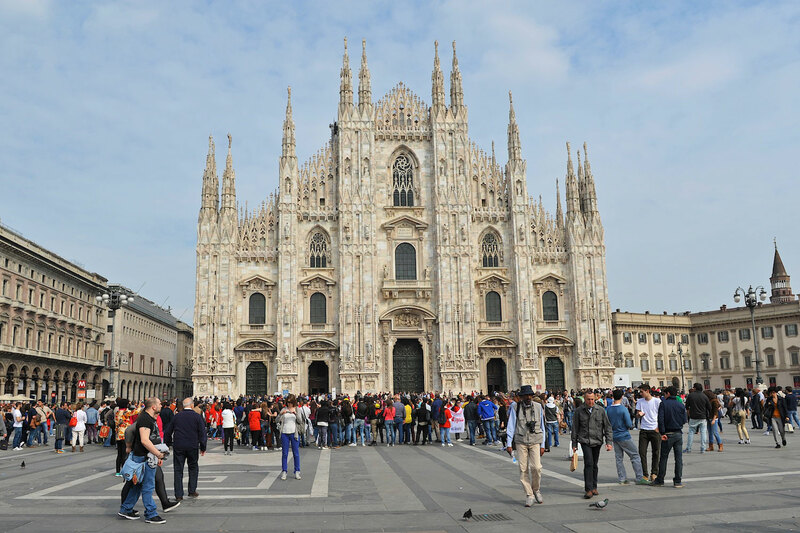 Browse Cathay’s Milan packages here. 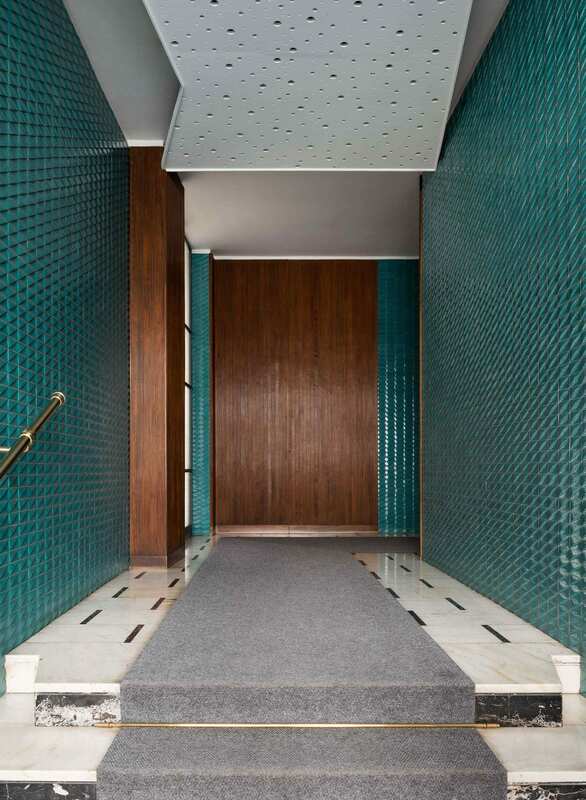 These extraordinary images are taken from Ingressi di Milano (Entryways in Milan) book by Karl Kolbitz, published by Tachen. That’s it, I am officially excited!! 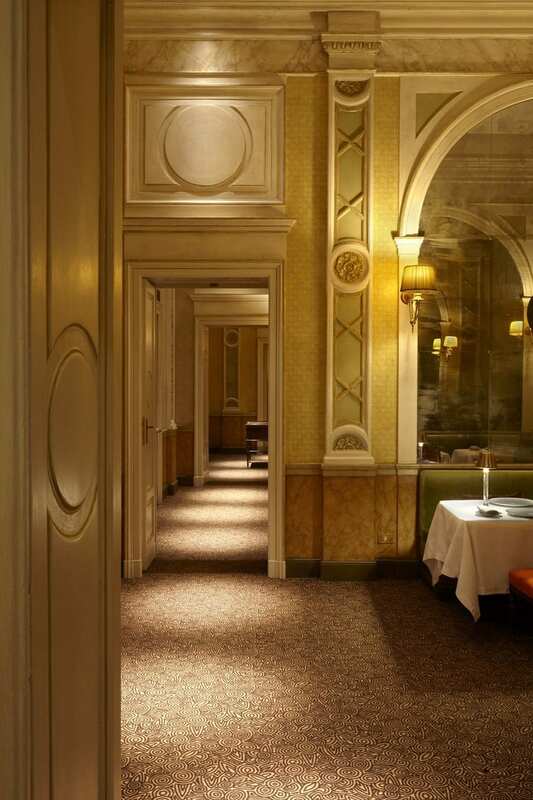 This Yellowtrace Promotion is proudly created in partnership with Cathay Pacific. All related thoughts and ideas reflect our genuine opinion. Like everything we do at Yellowtrace, our sponsored content is carefully curated to maintain utmost relevance to our readers. Holiday House in Monterrey, Mexico by Tatiana Bilbao. Love love love your tips Dana, especially the part about keeping an open mind and not getting FOMO. Buon divertimento!